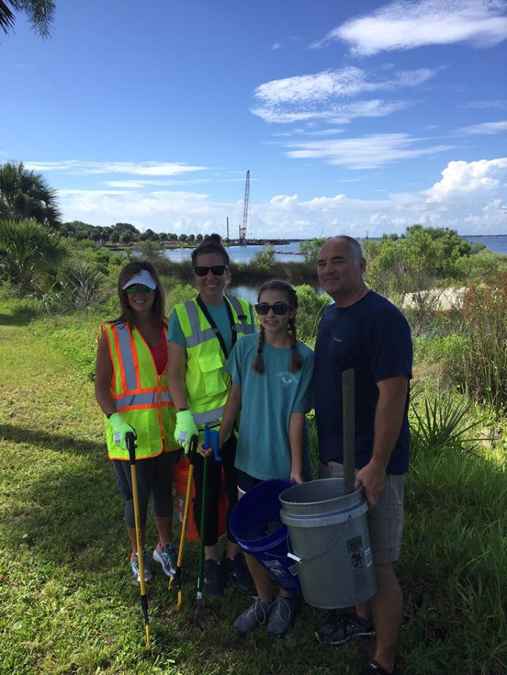 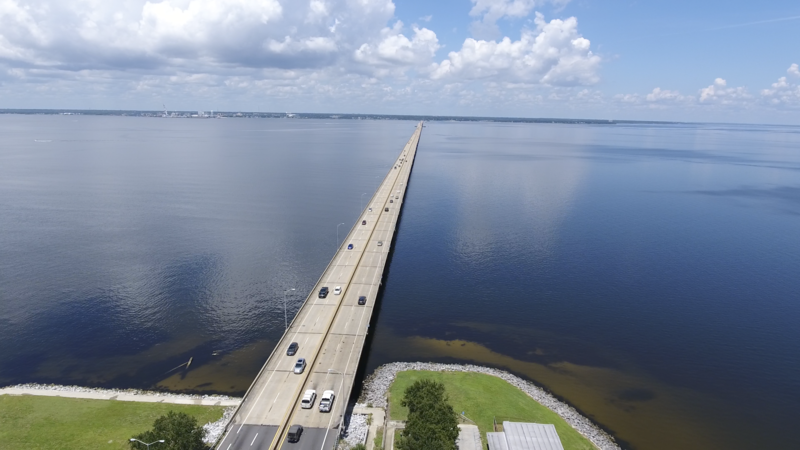 A group of local student-scientists from Pensacola’s Booker T. Washington High School are studying the environmental impacts of the Pensacola Bay Bridge construction project. 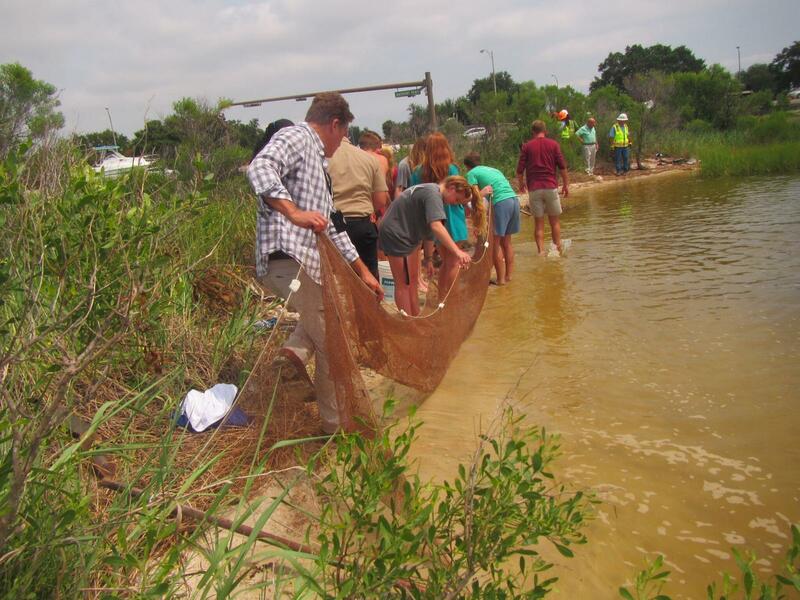 The students are part of the school’s Marine Science Academy, an intensive program that combines college-level oceanography and marine course work with field and laboratory research. 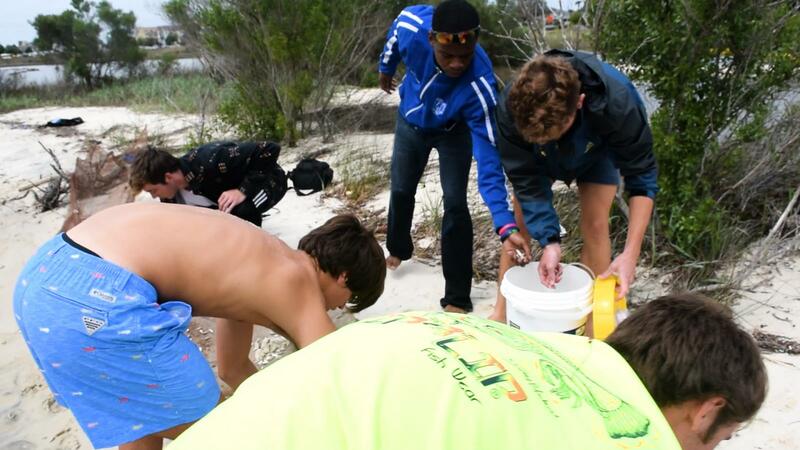 Marine Science Academy students are analyzing the diversity and abundance of nearshore species at the site, which includes measuring and assessing physical properties of the water such as temperature, turbidity, salinity, PH levels and dissolved oxygen. 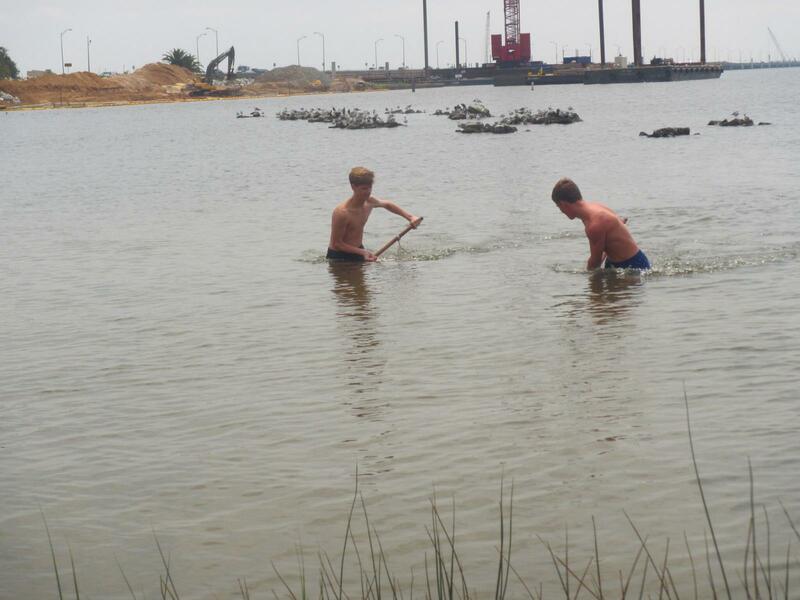 These properties provide an indication of water quality and the overall health of the bay. 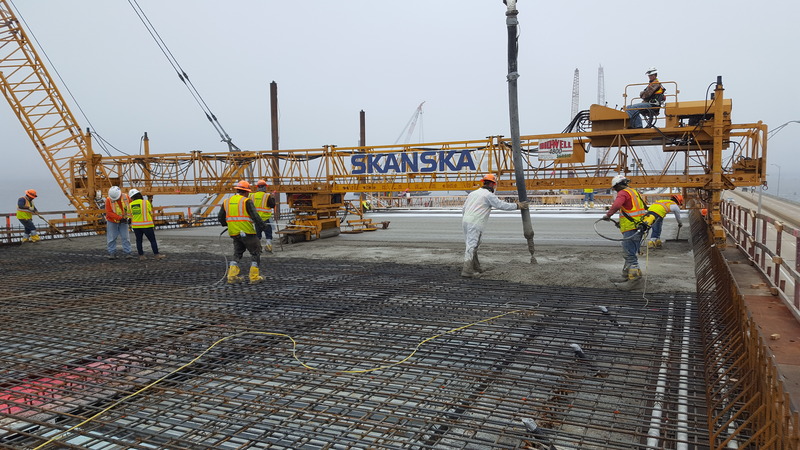 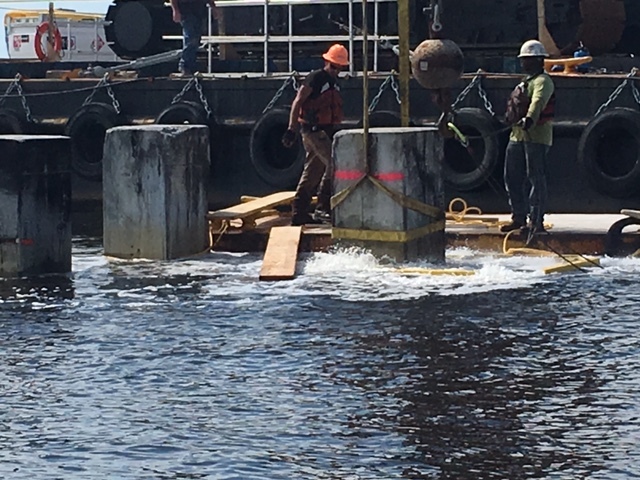 Early findings indicate conditions have improved since construction began. 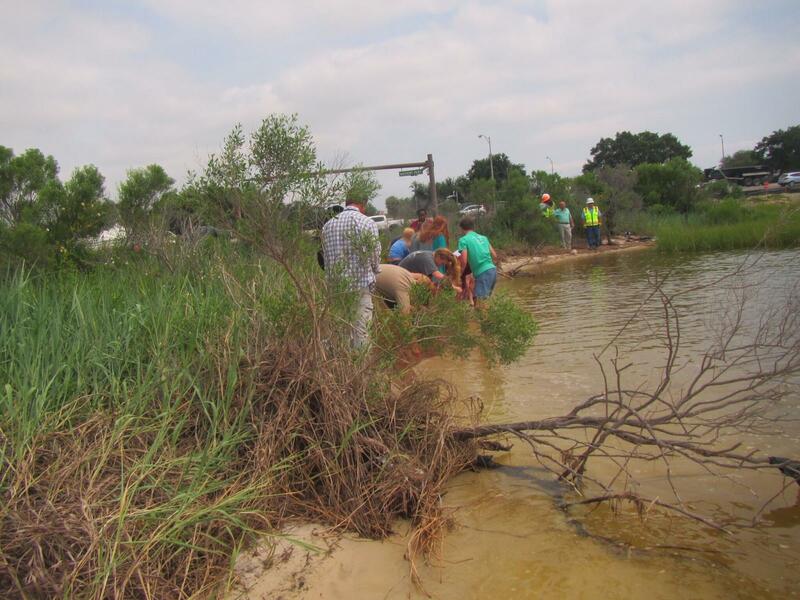 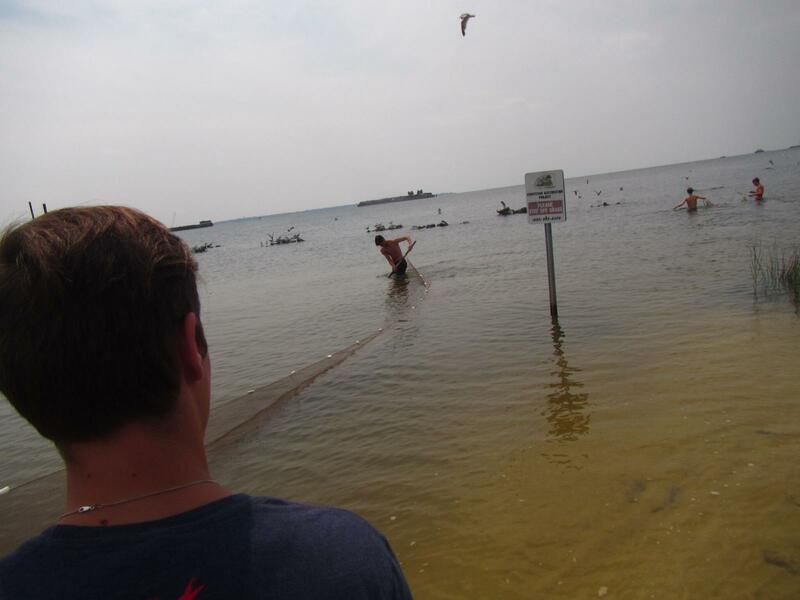 Invasive, nuisance and non-native plant species are being removed from the shoreline. 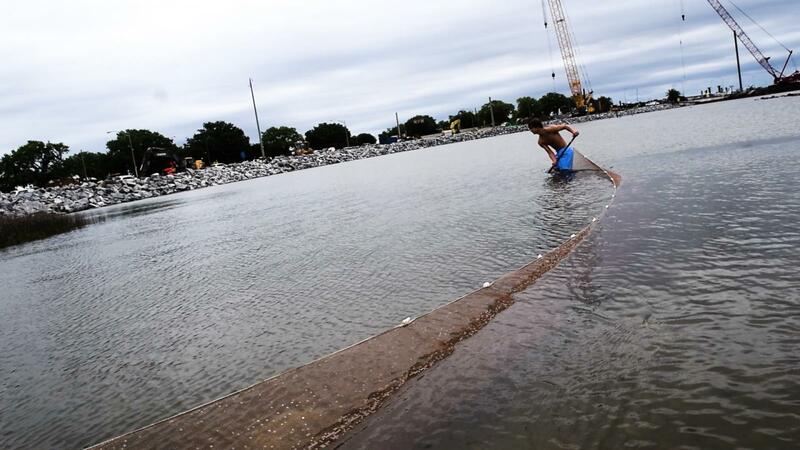 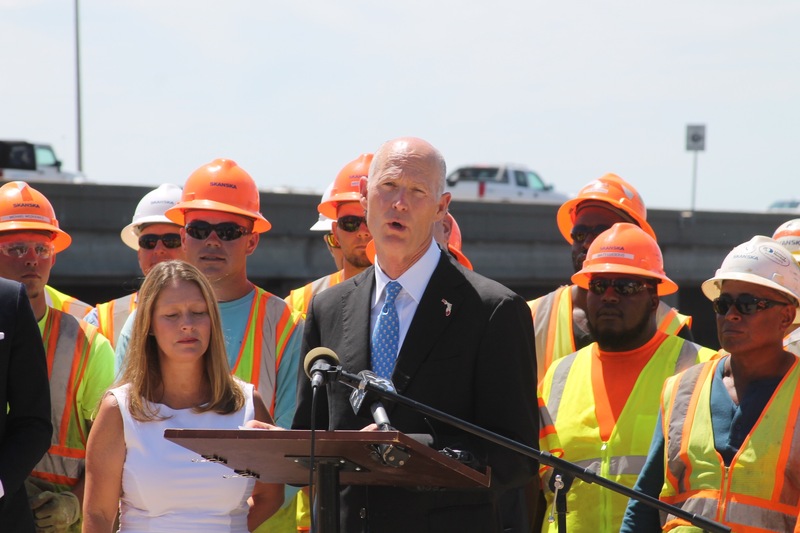 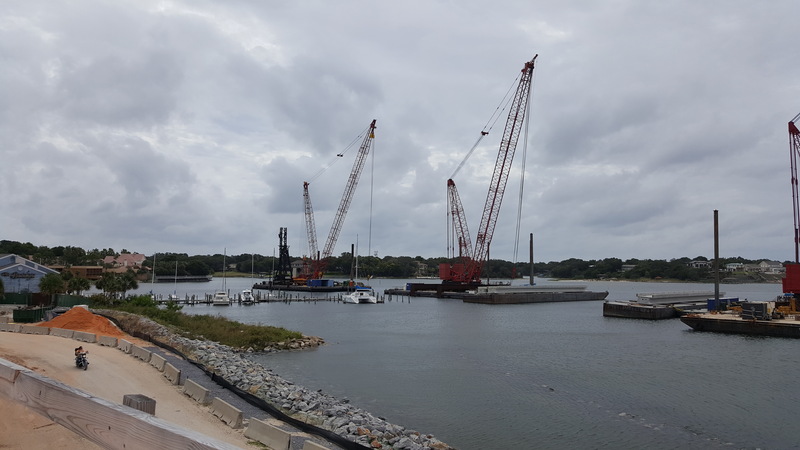 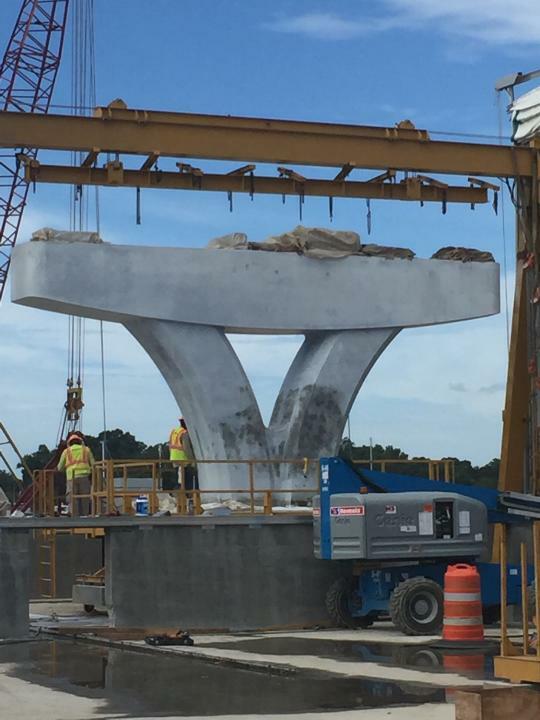 In addition, FDOT is replacing the old construction debris that was previously used to stabilize the shoreline with “rip rap” that consists of crushed granite stone. 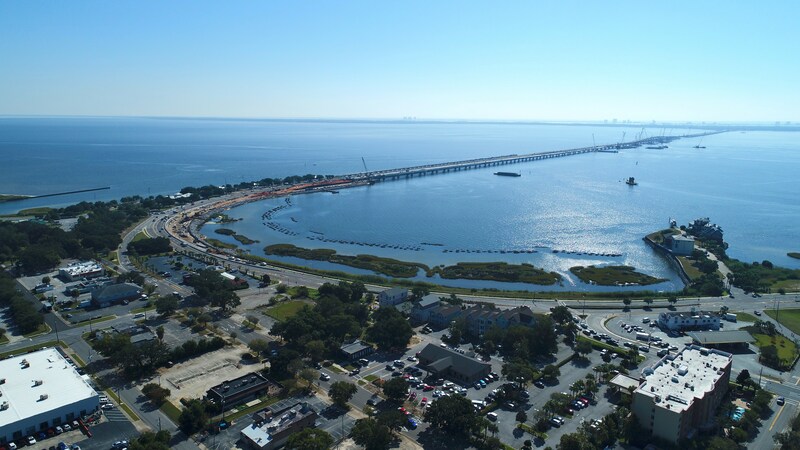 Stabilizing the shoreline will help protect the bridge and its approach from the impacts of erosion that often accompany a major storm. 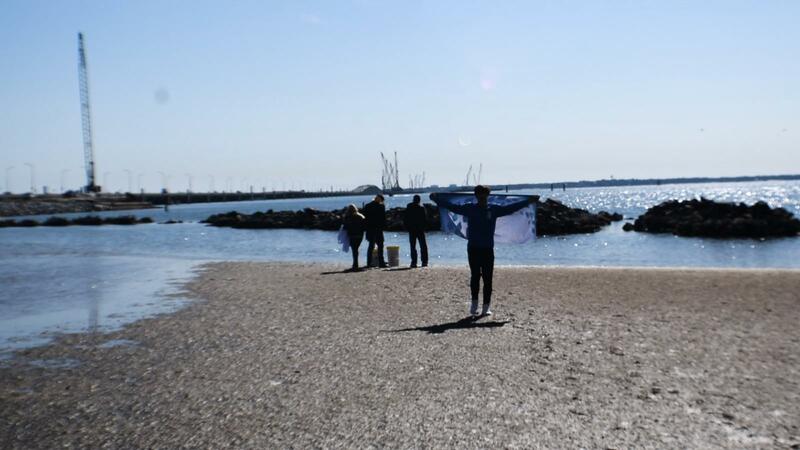 Marine Science Academy students study the wildlife at the Project GreenShores site in April 2018. 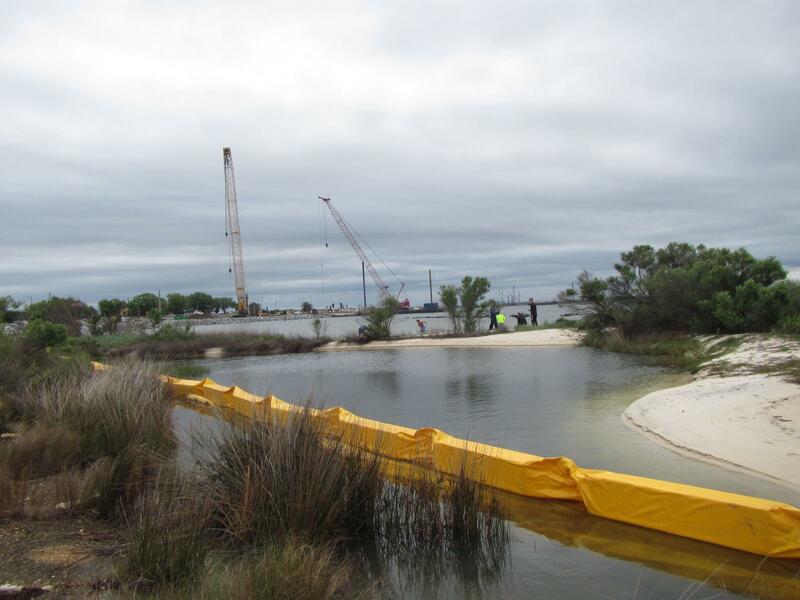 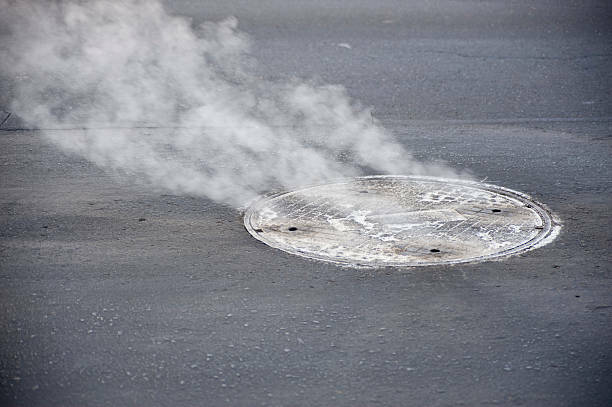 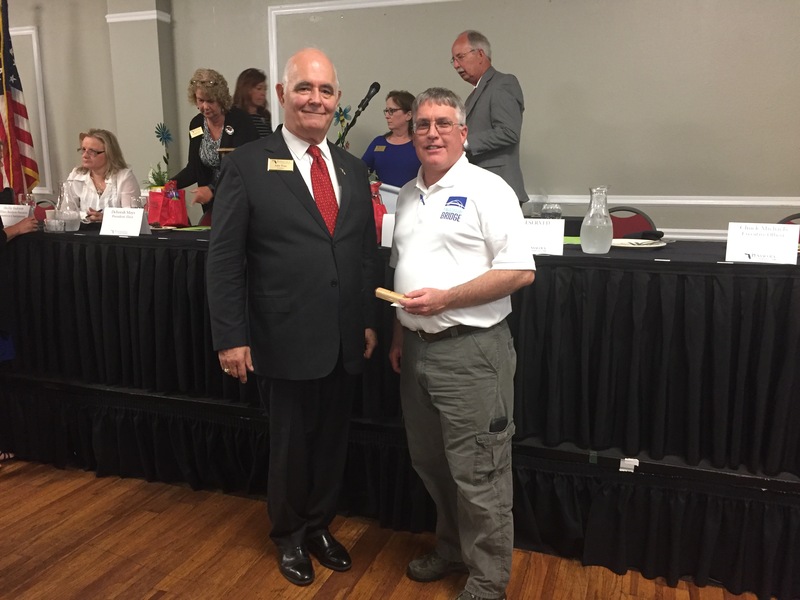 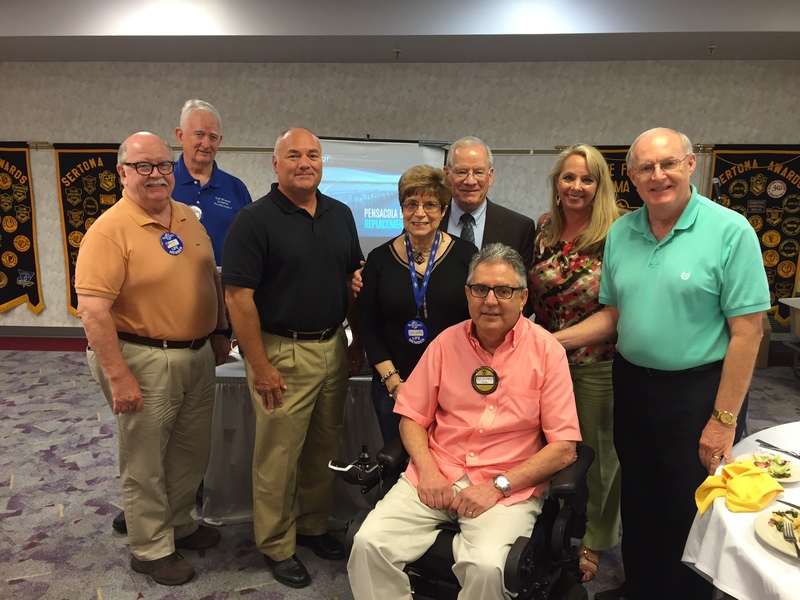 The Florida Department of Environmental Protection (FDEP) concurs with the academy’s findings. 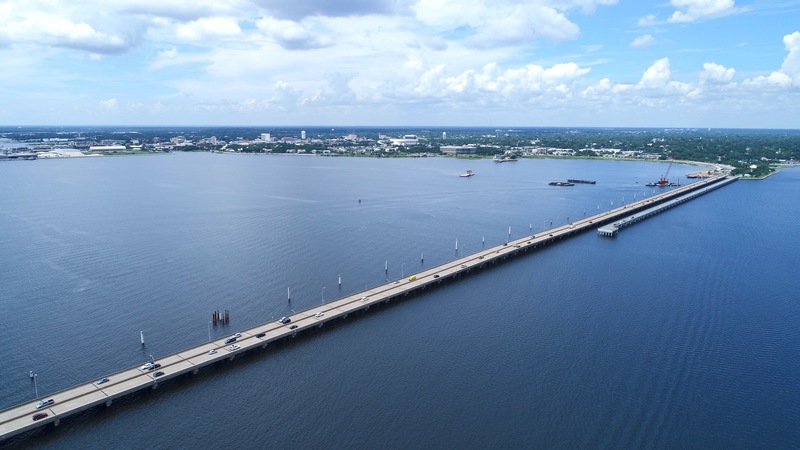 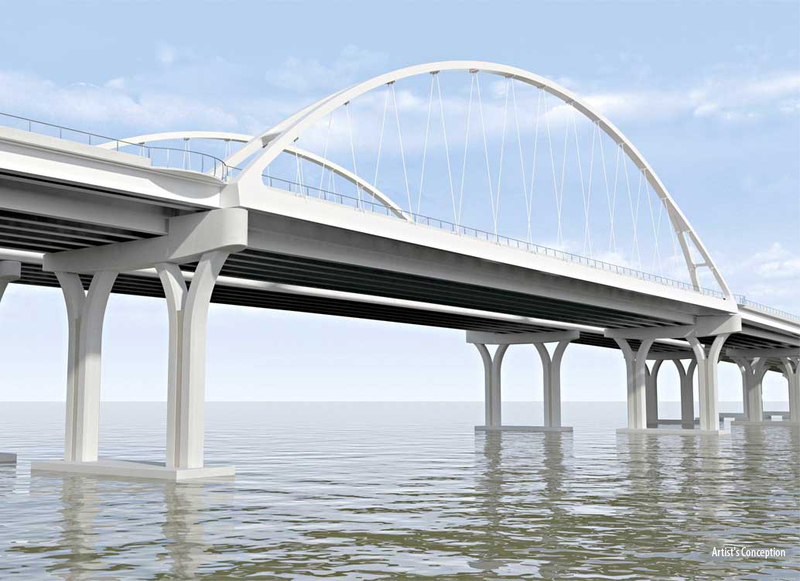 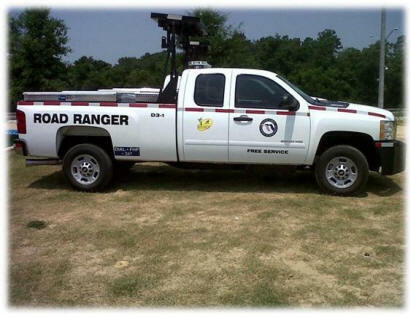 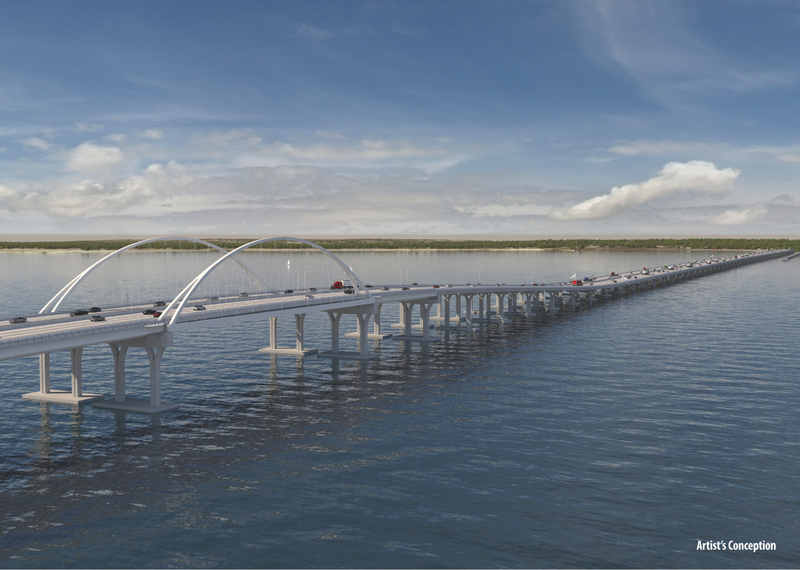 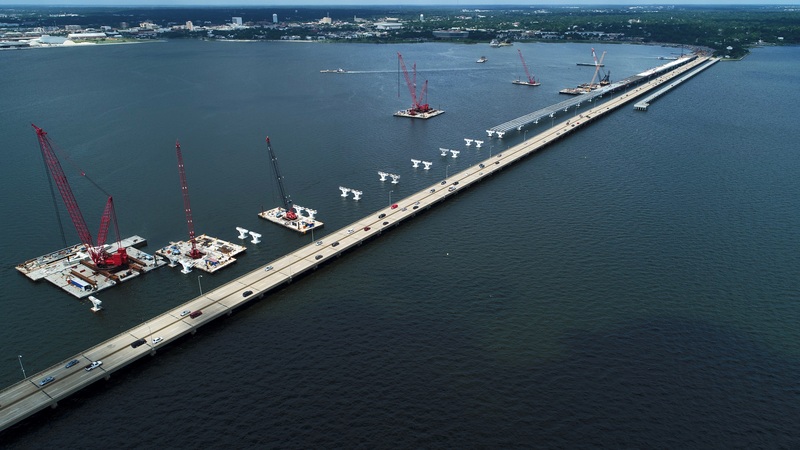 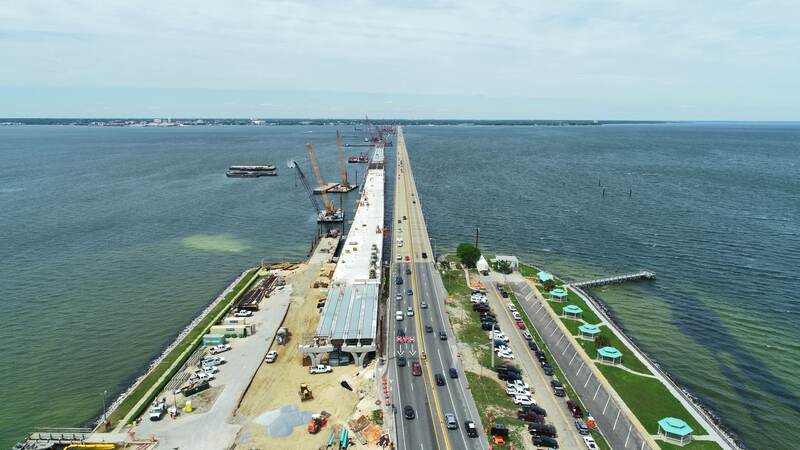 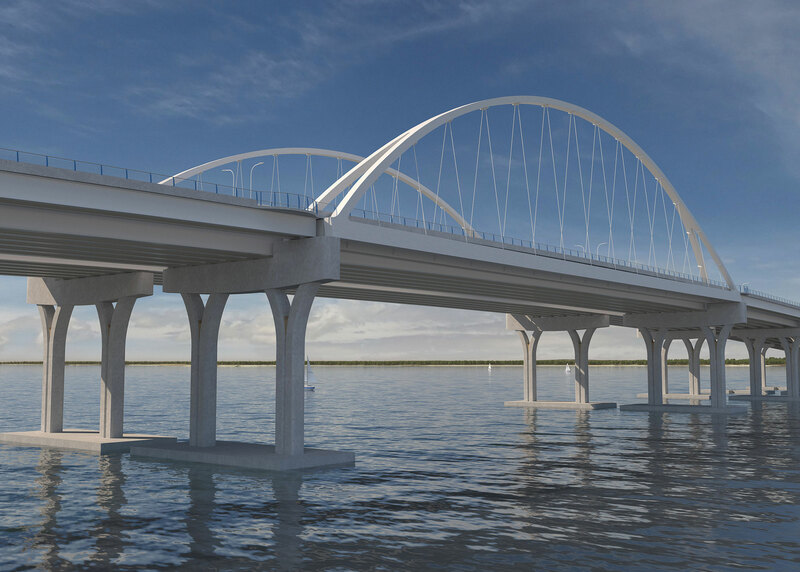 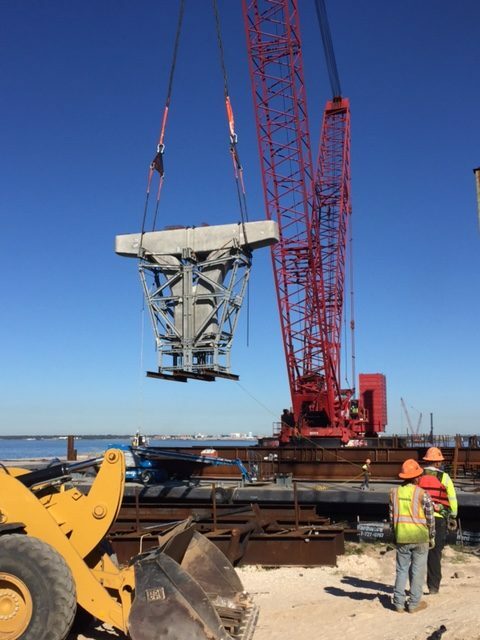 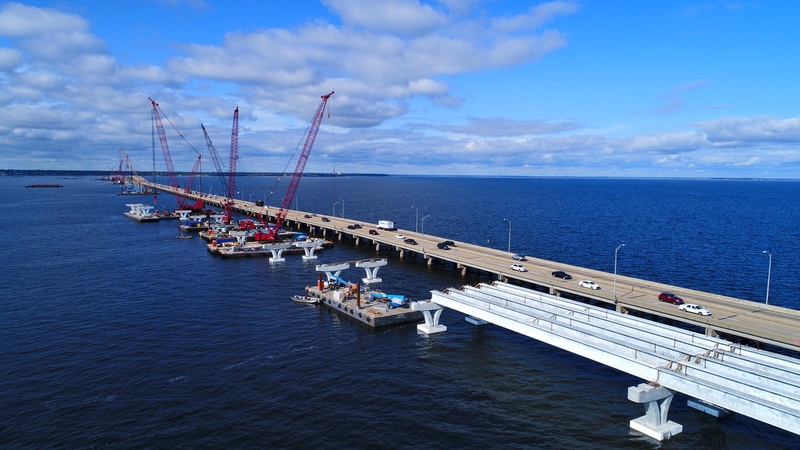 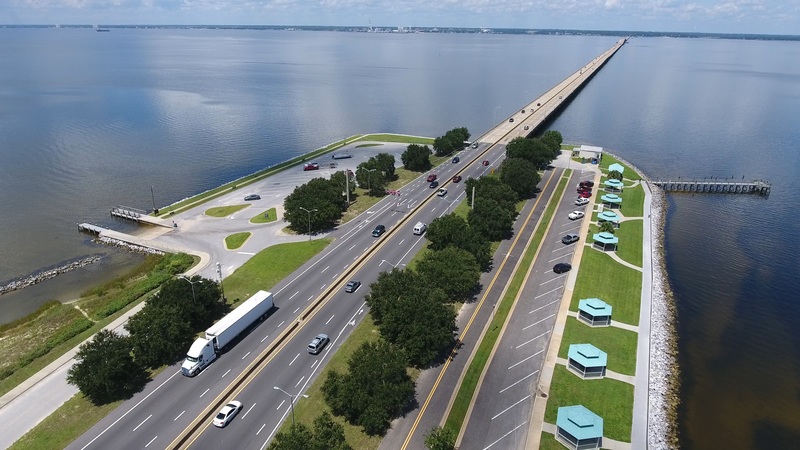 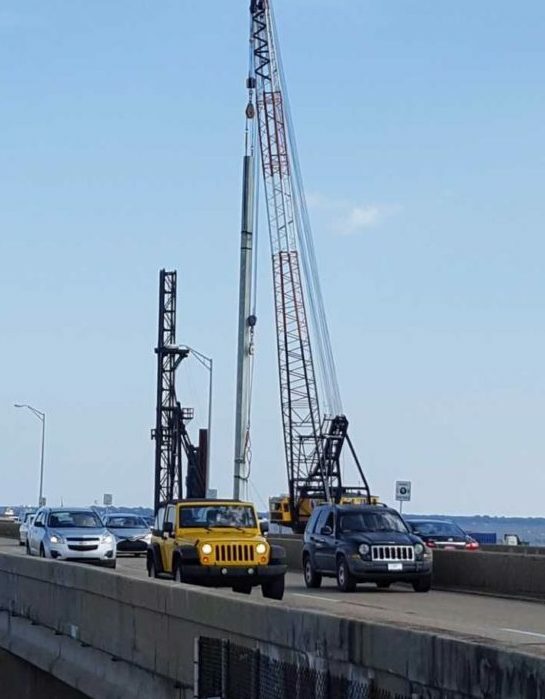 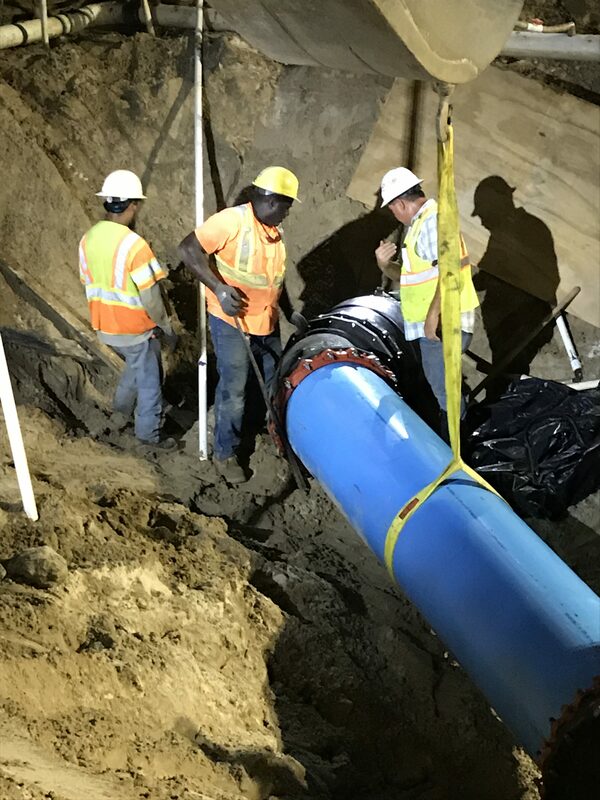 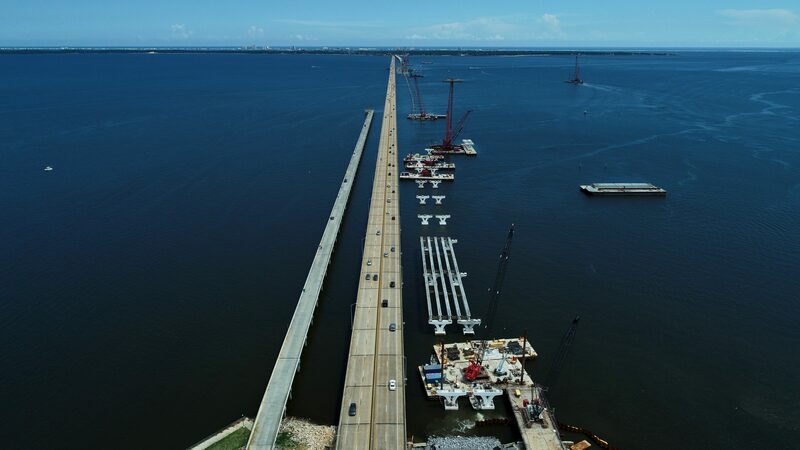 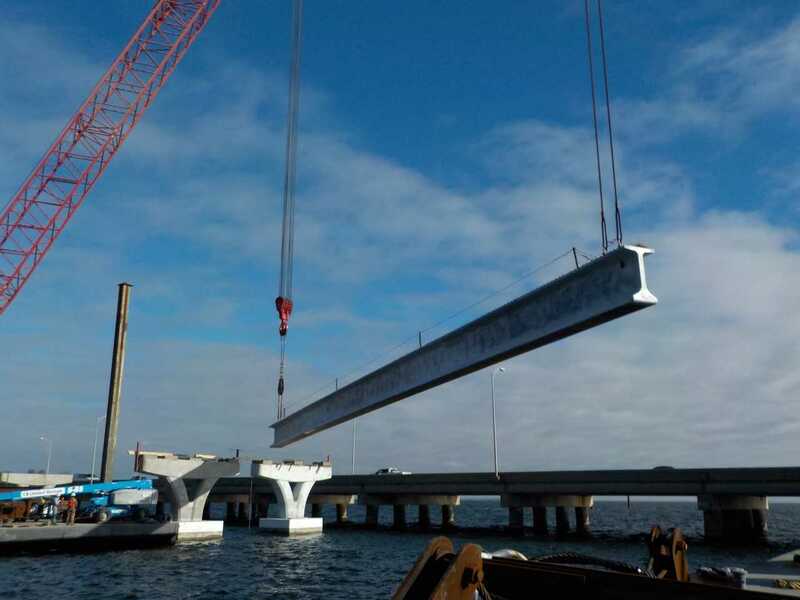 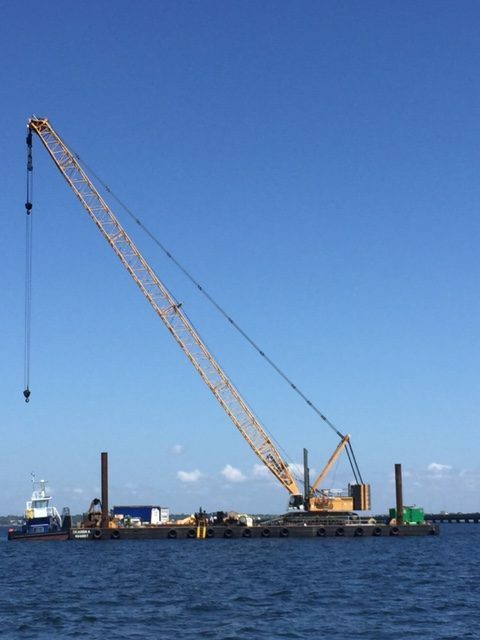 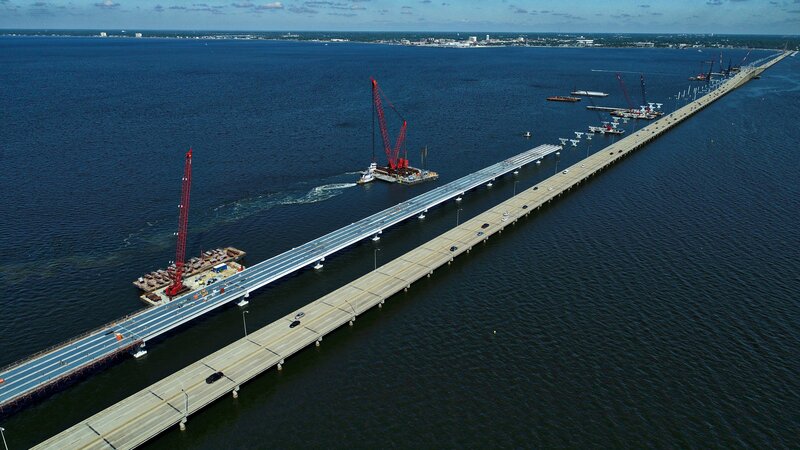 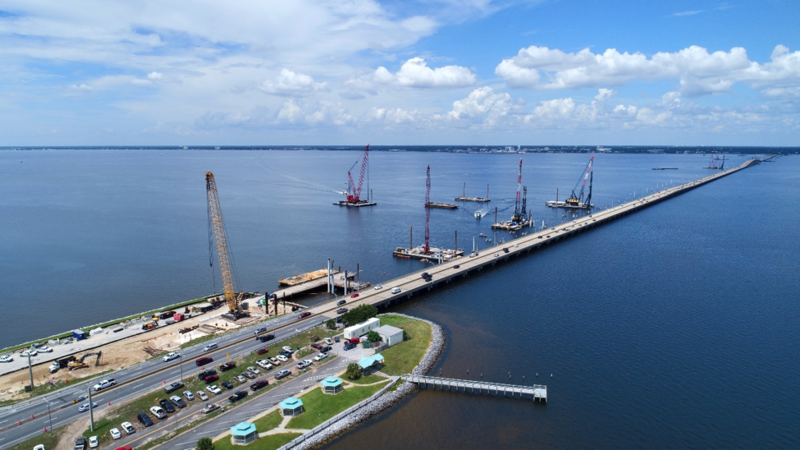 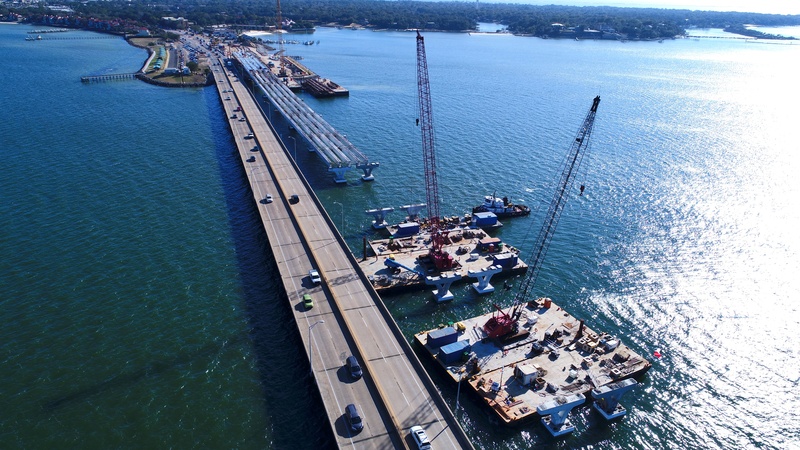 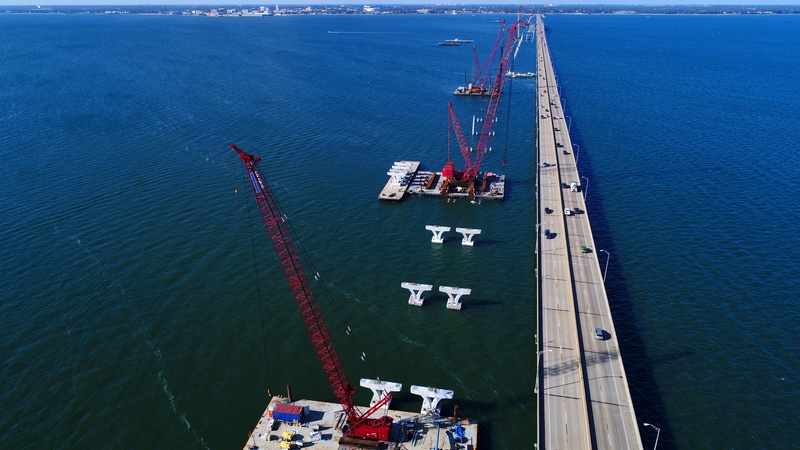 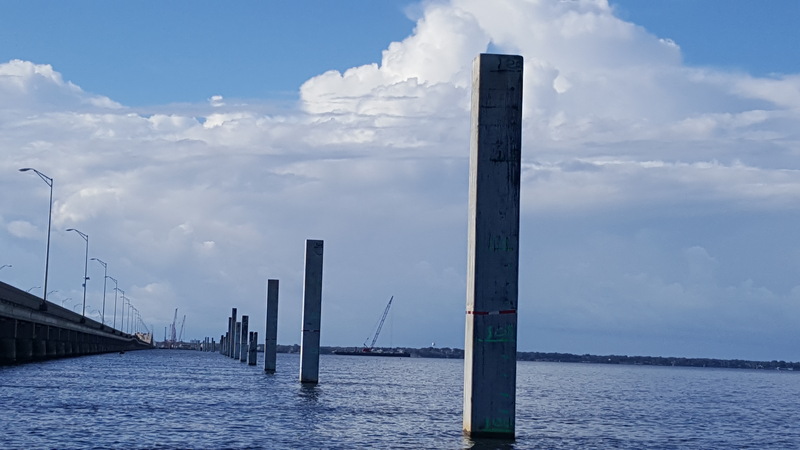 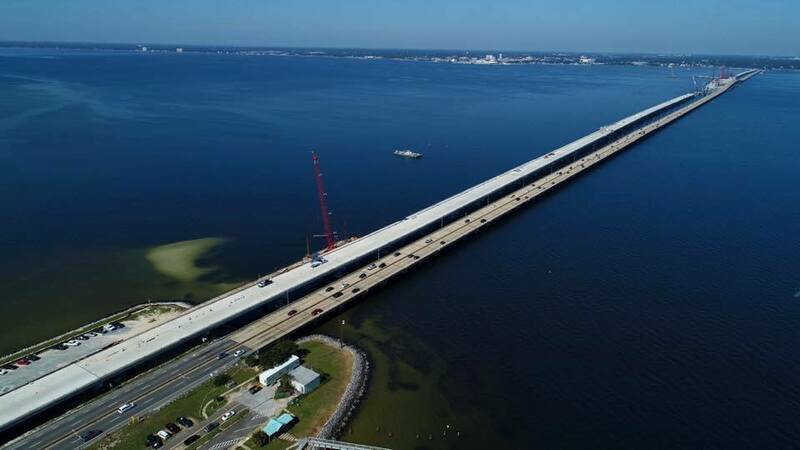 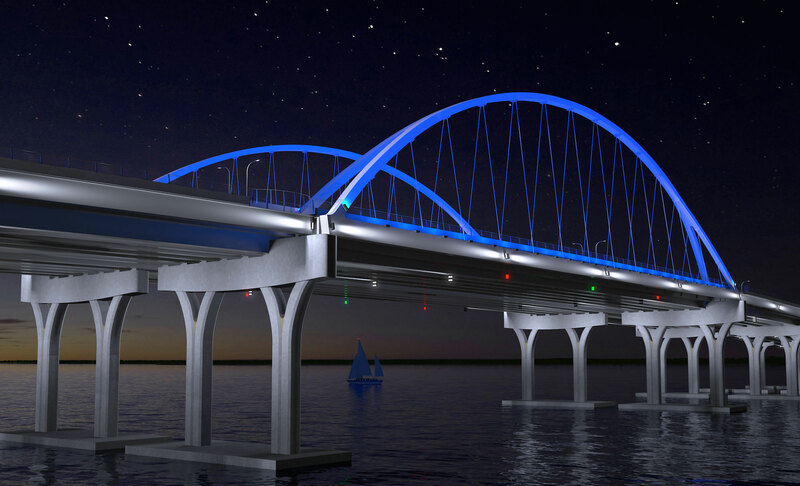 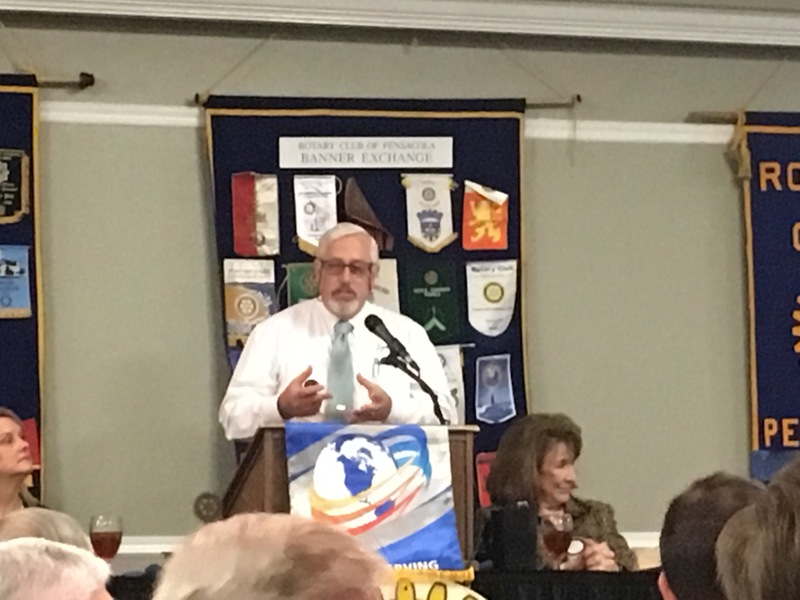 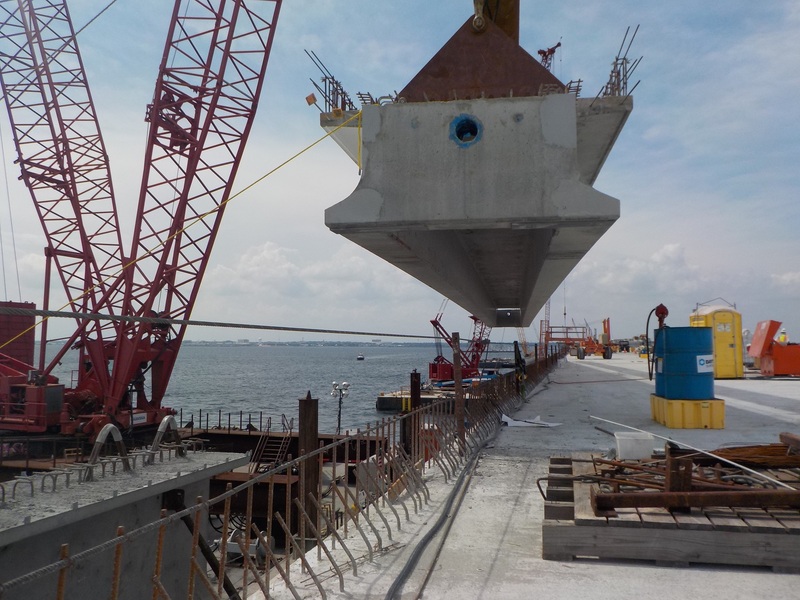 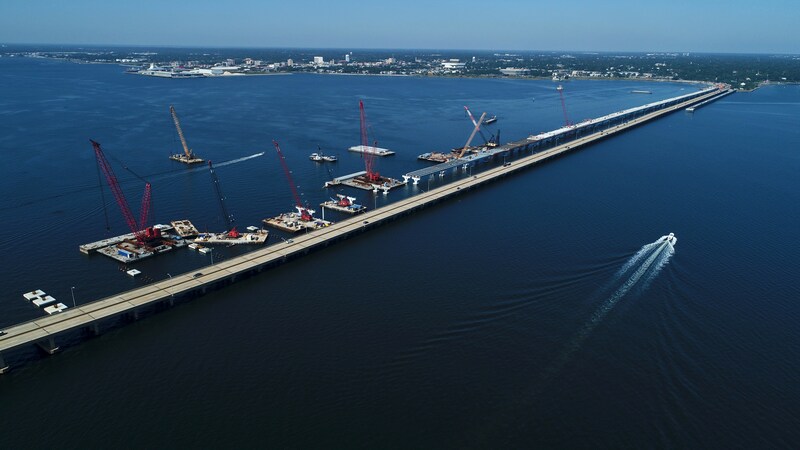 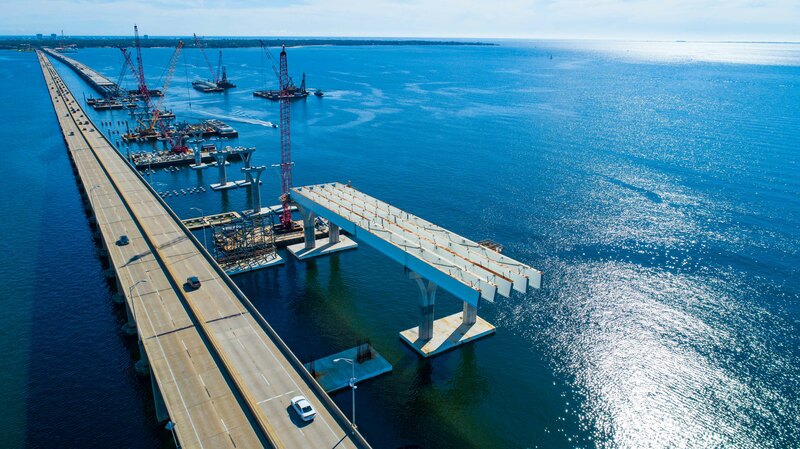 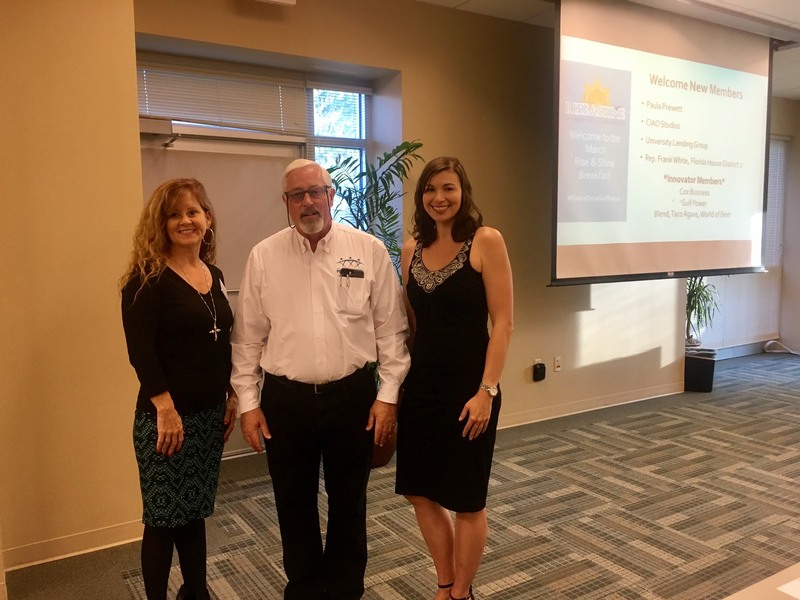 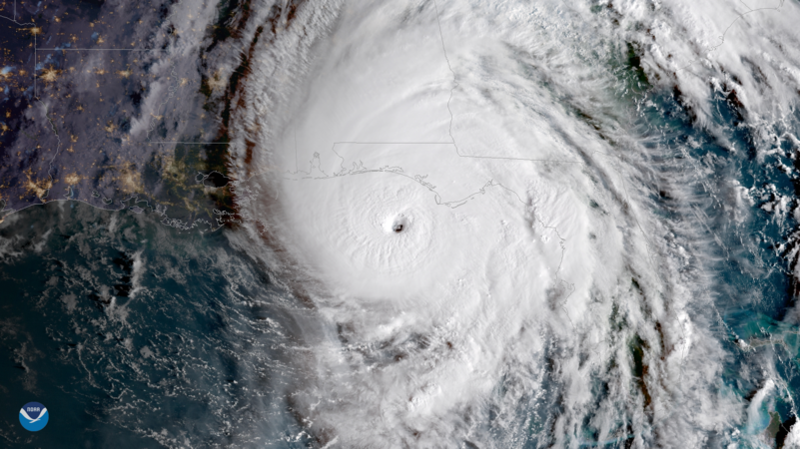 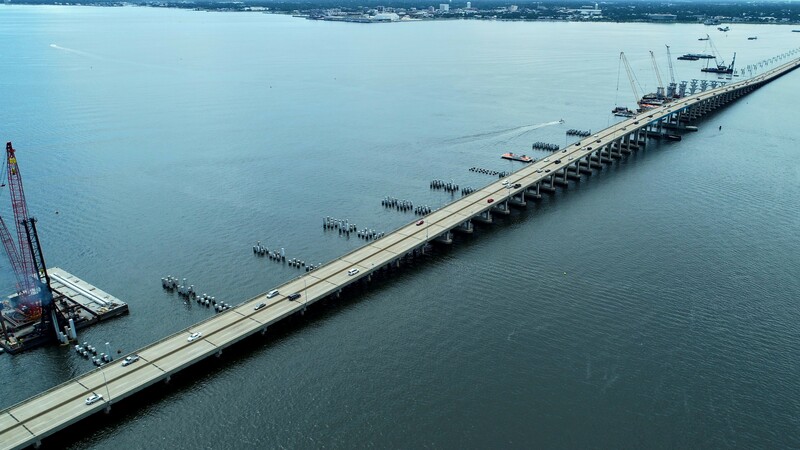 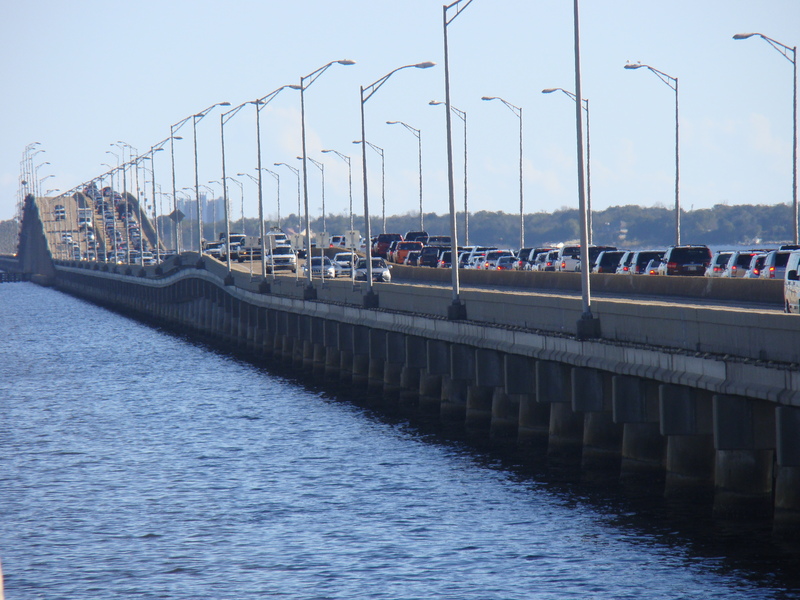 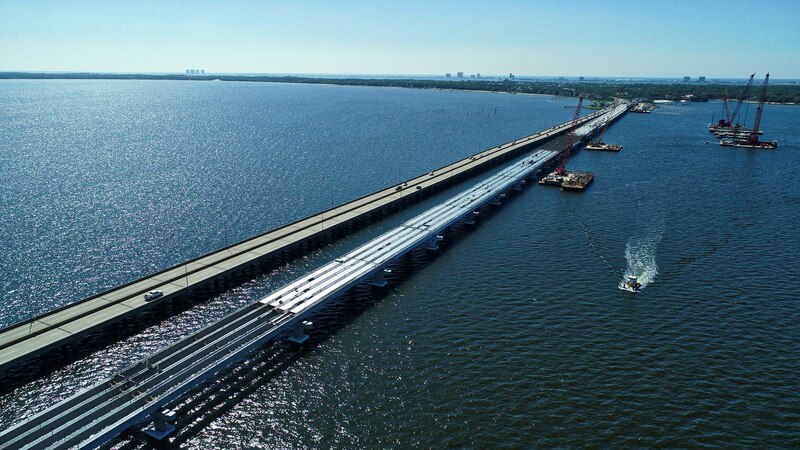 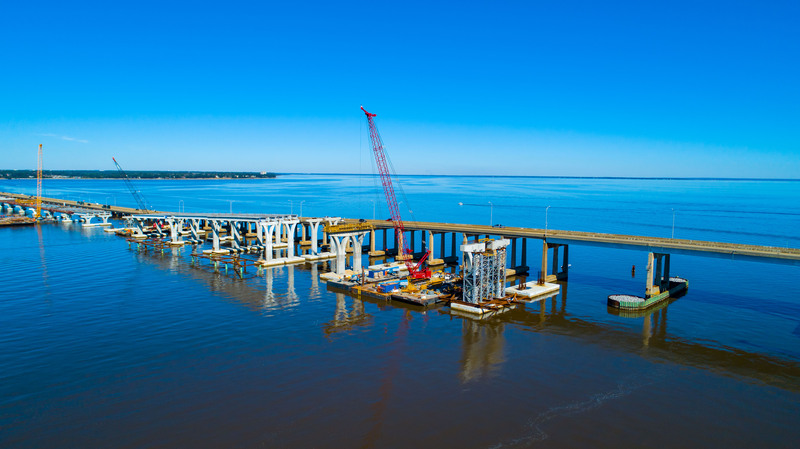 These findings are good news for the Pensacola Bay Bridge construction team, which has exhibited a commitment to environmental stewardship from the earliest days of the project. 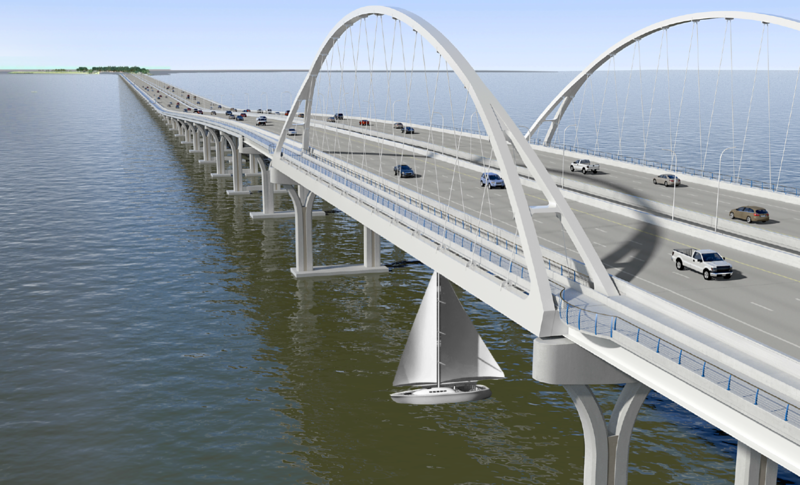 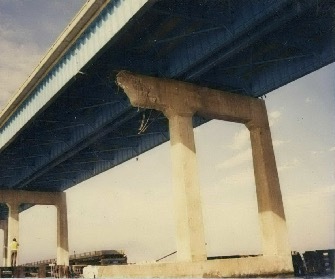 Bill Klepac is a senior engineer for the bridge’s construction engineering and inspection group. 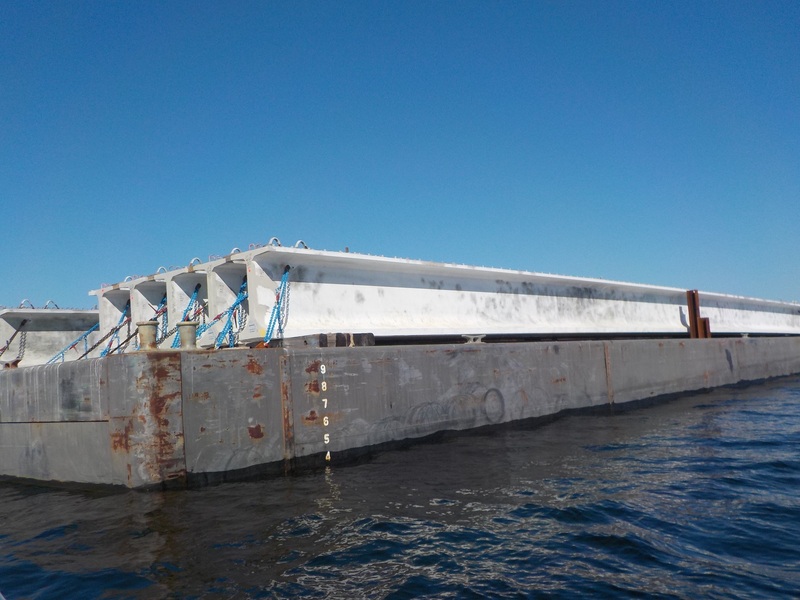 He has worked with the Marine Science Academy students and says before construction began the design-build contractor went the extra mile in safeguarding the environment. 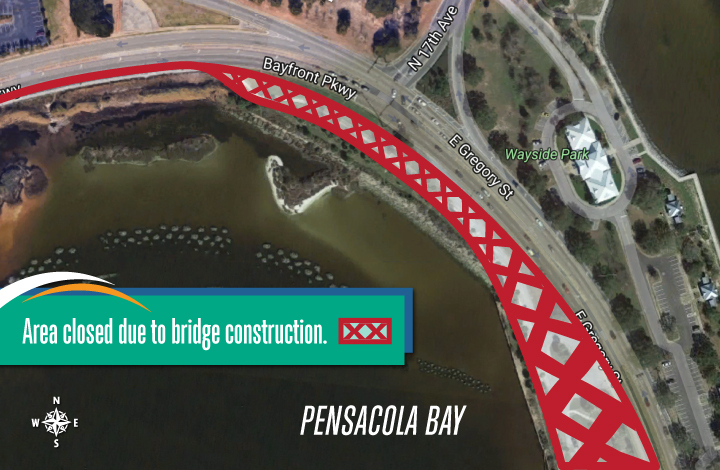 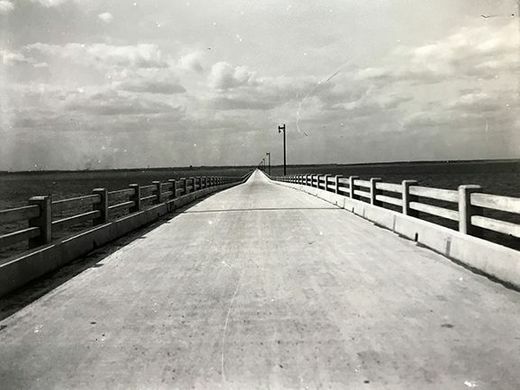 Bridge construction is expected to continue until mid-2020. 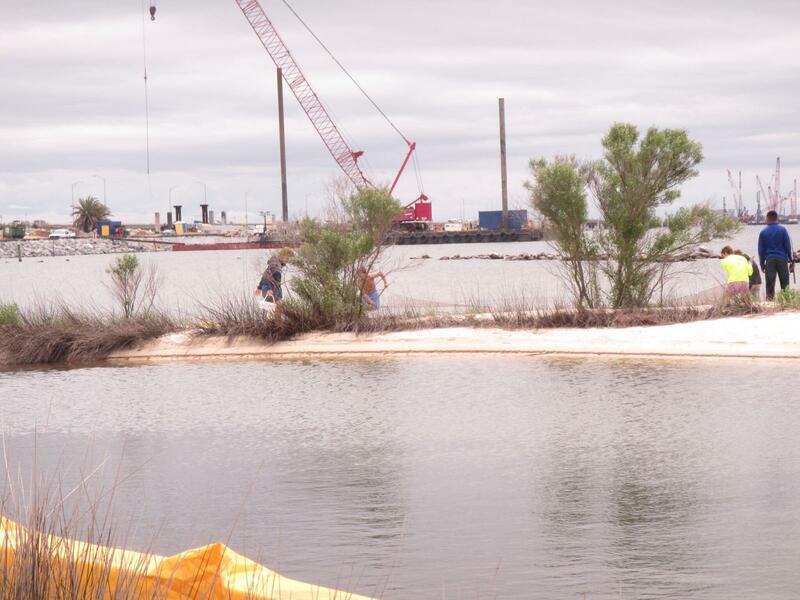 The construction team will facilitate the work of the Marine Science Academy for the duration of the project.